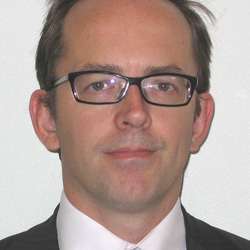 As Senior Director within the CTO department Technology and Research Acquisitions, Investments and Partnerships, David is responsible for evaluation and review of potential partners, acquisition and investment targets for Alcatel-Lucent as well as tracking of their subsequent integration with the company. Strategic areas of focus include IP & optics, SDN and NFV, next generation wireless, network optimization, big data and cloud computing. Based in Paris, he maintains relations with the main Venture Capital firms, tech investment banks and start-up companies in the European ecosystem with a particular focus on France, the UK and Germany. Prior to this David was responsible for the creation and successful development of the IP licensing function within Alcatel, as well as working in the project finance group in the CFO department. During his career he has also held a number of senior management posts in other companies such as Schlumberger and Canal+ Technologies and a UK law firm.